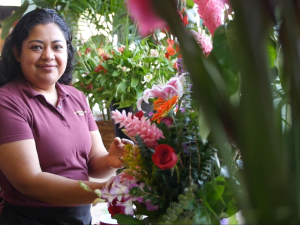 Celebrating a decade of empowering entrepreneurs throughout the world, Kiva shares this beautiful video by Ryan Little. 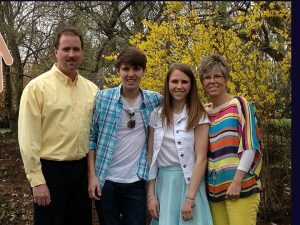 Please consult Kiva.org regarding tax information. Loans to Kiva borrowers are NOT tax deductible. They are social investments in Kiva borrowers. Contributions to Kiva, including the $3.75 processing fee per loan are tax deductible. Visit Kiva for additional financial information. 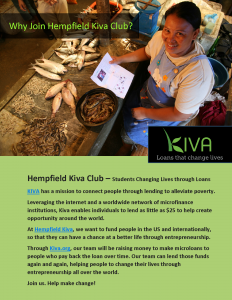 Hempfield Kiva is not a partner of nor affiliated with Kiva.org. We are a lending team on their microloan platform. Hempfield Kiva promotes an environment where all group members and/or event attendees are treated with respect, and are not discriminated against based on factors such as race, ethnicity, religion, gender or gender identity, sexual orientation, age, national origin, disability, or socioeconomic status. Many of our images have been generously provided by Kiva to advance its mission of connecting people around the world through lending to alleviate poverty. Download Hempfield High School Student Flyer. 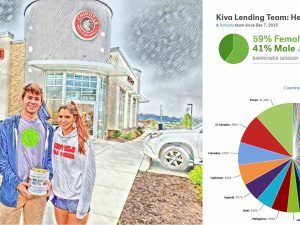 Lending through Kiva involves risk of principal loss. Kiva does not guarantee repayment or offer a financial return on your loan. 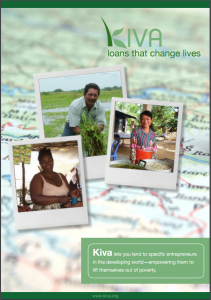 Currently Kiva Borrowers repay 97% of loans in full.